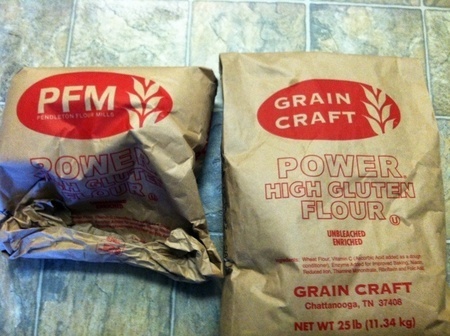 Hopefully the quality of the Power flour will stay the same. Here's a link that describes what happened. It's actually a merger of three companies. Oh, and Miller Milling is part of the Nisshin Seifun Group, a Japanese company, which bought Miller Milling fron ConAgra Foods in 2012. I noticed the change in the bag a few months ago. The quality is still good. Raj, I saw the change of the name on the bag just yesterday when I got a new 25lb sack. All the other ones I had still featured the PFM name. I guess they merged in May 2014. I agree, it's still good quality. Let's hope it'll stay that way. It's a great flour.